Auto Insurance and Your Windshield: An Added Layer of Protection - Lanes Insurance Inc.
After Hours? - Click here for a quote. In the world of auto insurance, a cracked windshield is a common scenario that can cause consternation for drivers. 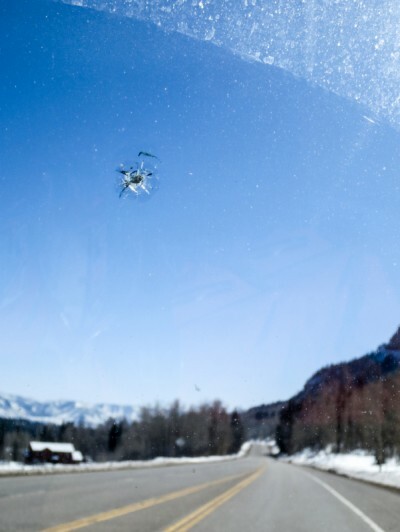 A stone chip or a small crack isn’t a major repair in terms of the cost, but major cracks are can get costly to fix, and may even require a complete windshield replacement. In this situation, many are not sure if their auto insurance will cover the expense? If you’re unsure of how to proceed, your best bet is to collect repair or replacement estimates from the service provider and get in touch with your insurance company. They will be able to advise you on what to do next. Chances are you’ve heard that submitting a claim is the number one thing that increases your auto insurance costs. In most cases, that is true, but windshield repairs and replacements are typically exempt from such consequences. The only possible exception is if you submit multiple repairs or replacement claims within a relatively short period of time. Again, your insurance broker or provider is the best source of information. There’s no harm (or penalty) for calling to ask if your premiums might go up if you file a claim for a windshield repair or replacement. Given that auto insurance providers typically pay out millions of dollars per year in windshield-related claims, many insurance companies offer reduced premiums to drivers who agree to waive their glass coverage. In essence, 13D endorsements nullify your glass coverage, except in very specific situations. Some people are tempted to just let windshield chips and cracks be without repairing them. However, this is not a good idea. First, your windshield provides essential stability, and if it is compromised, your vehicle could suffer far worse damage than it otherwise might have in the event of an accident. Windshield chips and cracks also reduce visibility, especially at night, putting you and your passengers at increased risk. Most of all, windshields provide an effective barrier against potentially life-threatening injuries that can result from head-on collisions. It is essential that you repair or replace your windshield promptly if it is chipped, cracked or damaged in any way. Lane’s Insurance is an Alberta-based brokerage, staffed by licensed professionals who work for you, not for the insurance companies. Our brokers offer advice you can trust, because we’re out to protect your best interests, not those of the insurance providers. We offer highly competitive auto insurance rates, gathered from reputable providers who are competing for your business. Visit us online today for a fast, free quote, or contact us to discuss your needs in detail. Dust Off Your Motorcycle: It’s Time to Ride Again!